Photo courtesy of zimbio.com. 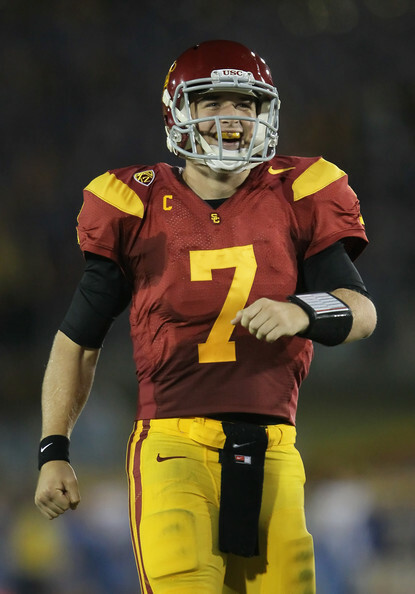 Matt Barkley (pictured above) will have a special year in 2012 as he leads USC back to the pinnacle of college football and takes home the Heisman Trophy. Opening night for the 2012 edition of College Football is just a week away. 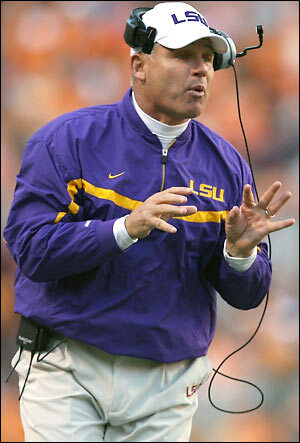 It seems like it was just yesterday that Nick Saban and the Crimson Tide were celebrating on Bourbon Street. In actuality, it was 227 days ago when Alabama clinched the SEC’s sixth consecutive national championship. Don’t expect that streak to reach seven though. Here are my predictions for the season ahead. I along with most people around the country jumped the gun and proclaimed Florida State’s greatness last season. Will this finally be the year that the Seminoles and their outstanding recruiting classes live up to the hype? Jimbo Fisher along with the entire city of Tallahassee certainly hope so. A loaded defense led by Brandon Jenkins, Bjoern Werner, and Xavier Rhodes are ready to roll. As is their experienced senior quarterback EJ Manuel. A September 22nd showdown with the reigning ACC Champs Clemson and a visit to Blacksburg for a Thursday night tussle (November 8th) with the always dangerous Virginia Tech Hokies are the two dates to keep in mind at this time. Photo courtesy of zimbio.com. 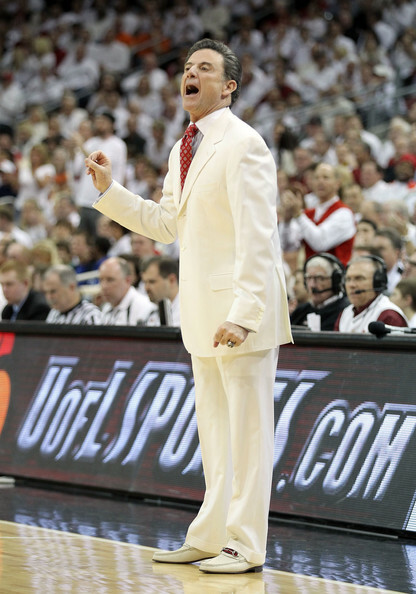 Not even "Slick" Rick Pitino (pictured above) can pull off this upset. It appears inevitable that UK will cut down the nets on April 2nd. 13 National Championships. 49 Final Four berths. Big East. Big Ten. Big 12. SEC. An elite rivalry. Rick Pitino. John Calipari. Bill Self. Thad Matta. Three of this year’s five first team All Americans. Cinderella teams are fun for the general public. But they have never been major moneymakers. Four very tradition filled programs with large followings will take over Bourbon Street for the next week. It appears Bourbon Street has hit the jackpot with this year’s Final Four. Photo courtesy of bostonherald.com. 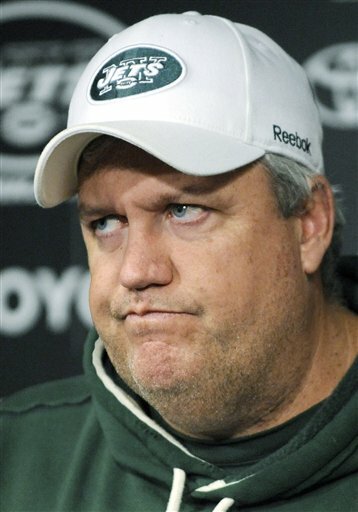 Rex Ryan (pictured above) is not the happiest of people as we begin 2012. Has he learned any lessons over the course of the past year? Photo courtesy of zimbio.com. 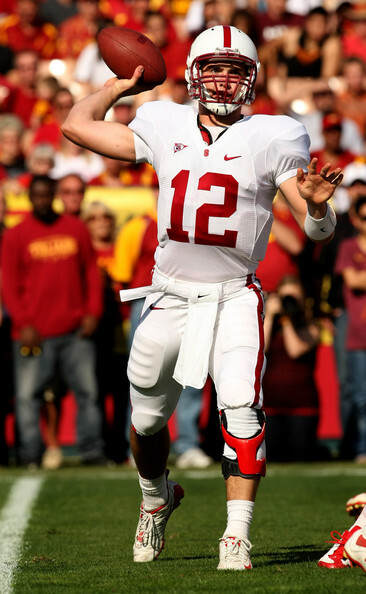 The top matchup this week has to be the Stanford vs Oklahoma State Fiesta Bowl date. I have a feeling Andrew Luck (pictured above) will play a large part in the outcome. Please somebody explain to me why it is called “Capital One Bowl Week?” We are now entering Week 3 of bowl season. Why isn’t it “Capital One Bowl Month?” I would love to hear the reasoning. 12 bowls down, and 23 to go. 19 games will be played between now and next Thursday. Strap in, because the beat will not stop until January 9th as we start to hit the “real” bowl games. Headline: Brian Kelly brings home a second straight bowl game victory to South Bend. 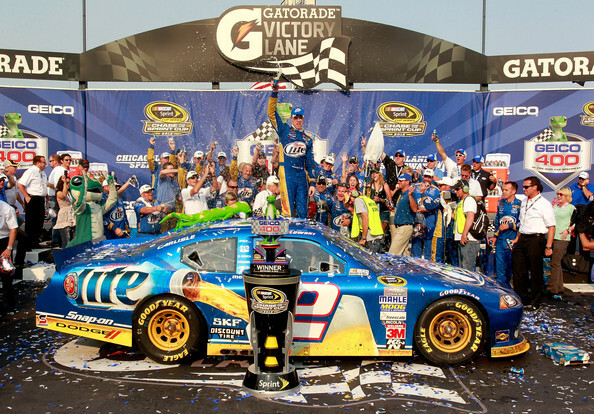 Photo courtesy of espn1420.com. Saturday night's showdown in Tuscaloosa may come down to which team gets the better quarterback play. 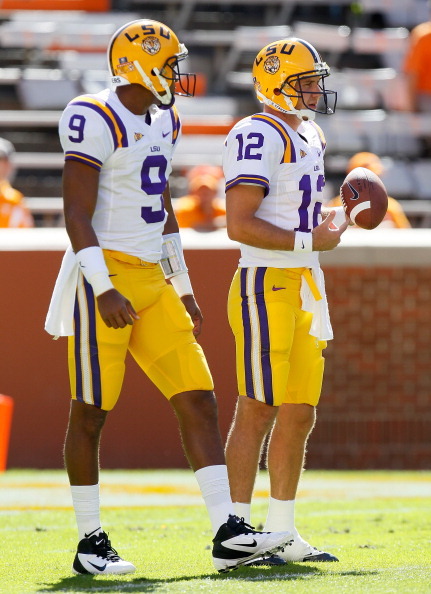 Can the senior duo of Jordan Jefferson (left) and Jarrett Lee (right) outdo standout sophomore AJ McCarron? Week 9 of the College Football was “mighty fine.” It was highlighted by a Braxton Miller hail mary toss and a very gutsy triple overtime win by the Standford Cardinal at the Coliseum. But this is the week we have all been waiting for. The “Game of the Year” is set to take place in Tuscaloosa Saturday night. Grab your popcorn. There will be some fireworks when number one takes on number two. Here are the marquee matchups. Photo courtesy of coacheshotseat.com. Can Les Miles (pictured above) pull a rabbit out of his hat and lead his Tigers over the Crimson Tide in Tuscaloosa on Saturday night? Halloween is always a wild time for obvious reasons. It is the one time of year where you can dress however you want and go unnoticed. This weekend though, was highly noticeable in terms of the wide world of sports. Saturday night was arguably the best night of College Football we have had all year. Sunday was full of thrills and surprises. And the Fall Classic had its first Game 7 since 2002. Here are the events to keep an eye on this week.